Dr. Perrault attended Michigan State University as an undergraduate majoring in microbiology and public health and received his Bachelor’s Degree in Veterinary Science. After an externship in Southern California for avian, exotic and wildlife medicine, he received his Doctorate from Michigan State University College of Veterinary Medicine in 1992. Dr. Perrault is a member of the American Veterinary Association (AVMA), the California Veterinary Association (CVMA), the Southern California Veterinary Association (SCVMA), the Association of Avian Veterinarians (AAV), and the Association of Reptile and Amphibian Veterinarians (ARAV). Besides operating Cats & Dogs Animal Hospital, Dr. Perrault donates his time and provides first aid for many of Justin Rudd’s events, such as the Halloween Dog Parade. Dr. Perrault lives in Long Beach with his partner, Cookie Braude, and their Chihuahua, Guillermo. Dr. Smith grew up in eastern Pennsylvania and developed a strong love of animals at an early age. She received her undergraduate degree in Animal Bioscience from Penn State University and attended THE Ohio State University for veterinary school. Her professional interests include animal behavior, nutrition, and exotic animal medicine. Dr. Smith also has experience in emergency medicine. Dr. Smith is a member of the AVMA, CVMA, SCVMA, AAV, and multiple non-profit organizations. She is on the board of directors and volunteers for a non-profit called Dusty’s Riders, which takes at-risk inner city youth on horse outings to increase self-esteem and confidence. In her spare time, she enjoys riding horses, painting and drawing, and yoga. Dr. Smith and her husband have one daughter, one horse, and two bad cats named Sophie and Black Alice. Dr. Brianna Abel is a traditionally trained veterinarian and a Certified Veterinary Acupuncturist by the way of the Chi Institute of Traditional Chinese Medicine in Florida. She believes in holistic medicine, utilizing both acupuncture and herbs along with western medicine such as antibiotics and steroids when appropriate. Dr. Abel grew up in Southern California, went to Long Beach Polytechnic High School and received a Bachelor’s degree in Marine Biology at the University of California, Santa Cruz. 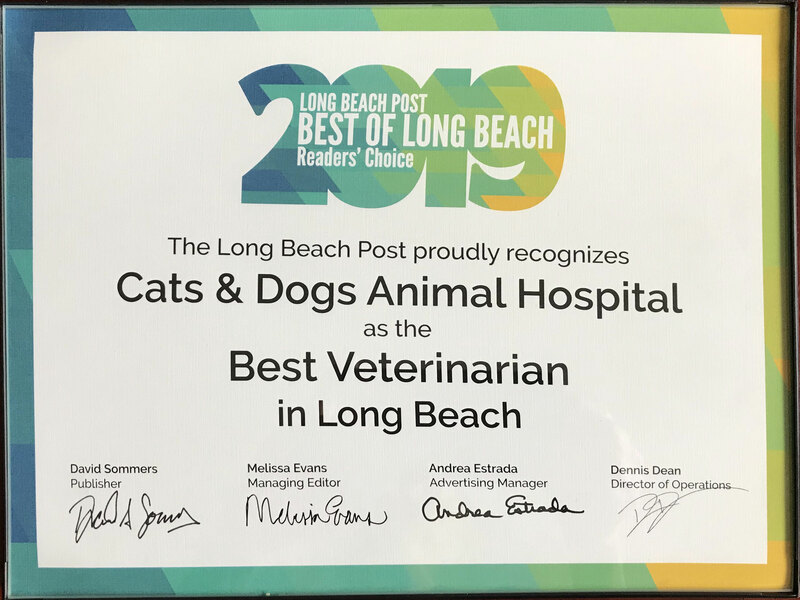 She earned her Doctor of Veterinary Medicine at Kansas State University and was internship trained at California Animal Hospital in West Los Angeles. She is particularly interested in acupuncture, preventative medicine and neurology. Dr. Abel lives in Long Beach with her husband, son, and her beautiful cats, Aspen and Vail. In her free time she enjoys traveling, SCUBA diving, Clippers basketball and going to the theater. Her professional interests include internal medicine and surgery. When she's not working, Dr. Truong enjoys working out, tending to her plants, and eating different types of cuisine with friends and family. She lives in Torrance with her husband, David, and their two American Bullies, Octavia and Booty.